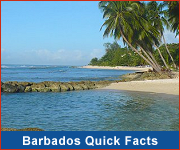 Barbados traditions are drawn from the West African and British cultures that shaped the island. The majority of the population is of African descent however the island was a colony of the British Empire for over 300 years so the English influence is very strong. The tuk band is a collection of usually brightly attired musicians playing a bass drum, kettle drum and pennywhistle. The tuk band's infectious rhythm is a call to get up and dance, or at least tap your feet! The tuk band is generally accompanied by costumed figures such as the "Shaggy Bear", "Mother Sally" and "Green Monkey", and by the very talented stiltmen. Tip: the beach extravaganza dinner show at Harbour Lights is a fantastic show with stiltmen, Mother Sally, and other amazing performers. The songs of the tuk band are a blend of African music, with its heavy drum influence, and British folk music. 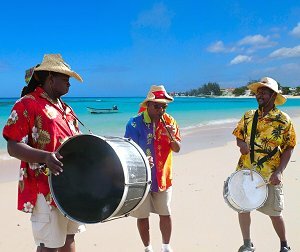 Tuk bands perform at all major Barbados festivals, including the Holetown Festival, Crop Over and the Oistins Fish Festival. The Barbados Landship is a truly unique part of our culture, whose origin can be traced back to the 1800's. The best way to describe the landship is as a "theatrical group" which performs intricate dances that reflect the passage of ships through rough seas and the activities that take place on board. Some of the most popular dances are ribbon dances around a maypole. The performers wear costumes that are similar to those worn in the Navy. Although the organization was based on the structure of the British Navy, its dances are performed to an African rhythm, often accompanied by a tuk band, once again reflecting the merged cultures of Barbados. The Landship movement is not as strong as it once was, but its presence at local festivals still generates much excitement and interest. Pottery has always been a vital skill for inhabitants of Barbados. From the early Amerindian settlers who created cooking and storage vessels, to modern potters who work their magic on a potters wheel producing functional wares and decorative pottery. Read more about the important role of pottery in Caribbean heritage and culture. Barbados has a strong cricketing tradition dating back to the 1800's when the game was played by British soldiers stationed on the island and by the plantation owners and members of the aristocracy. Barbados has produced some of the world's finest cricketers including Sir Garfield Sobers, the 3 Ws (Worrell, Walcott and Weekes) and the legendary opening pair Greenidge and Haynes. International matches are held regularly at Kensington Oval. The sport of road tennis was invented in Barbados in the 1930s. Today the game is played on residential roads and professional courts across the island. 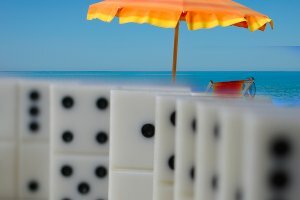 Dominoes is incredibly popular in Barbados! In rum shops and fishing villages you'll often hear the sound of people "slamming a dom" while discussing the days events and local politics. Although not widely played, Warri (Oware) is gaining in popularity in Barbados. The game originated in West Africa and is similar in strategy to backgammon. It was introduced into Barbados in the 17th century by slaves on the sugar plantations. Kite flying and pitching marbles are popular childhood pastimes. Cou-cou and flying fish is the national dish of Barbados. Cou-cou, similar to polenta or grits but more creamy, is made from corn meal and okras. It is traditionally served with steamed flying fish in a tomato-based sauce but may also be served with salt fish, red herring or stew. Another popular dish, especially for Saturday lunch, is "pudding and souse". Pudding is steamed sweet potato. Souse is pickled pork. Souse was traditionally made from the scrap parts of the pig (ears, trotters, tongue, etc) but today is often made from lean pork meat. Pudding and souse is usually served with pickled sweet potato or pickled breadfruit. The pickle is comprised of lime, cucumber, onion and hot peppers. Other favourites are macaroni pie, fish cakes and cutters of all sorts! Bajans also love a fish fry. 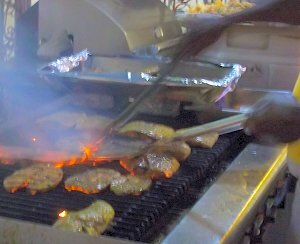 The most popular is the Oistins Fish Fry but many are held across the island, usually on a Friday night and on the weekends. Delicious, freshly caught fish is served fried or grilled with sides such as macaroni pie, grilled potatoes, coleslaw and plantain. For a sweet refreshing treat a snow-cone is must have! And on a hot day, nothing beats a refreshing glass of spiced mauby! Christmas is an important religious and social holiday for Barbadians and is mostly spent with family. This is traditionally the time of year that we "spruce up" the house, giving it a thorough cleaning and hanging new curtains. Christmas morning typically begins with a church service and may be followed by a stroll through Queen's Park. Favourite Christmas dishes are baked ham, jug-jug (made from pigeon peas, salted beef and Guinea corn flour) and rich cake (made with a variety of fruit, spices and rum). 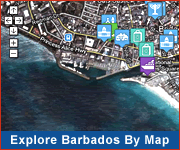 The architectural tradition of Barbados also reflects African and British influences. Colonial architecture is largely in the Victorian, Georgian and Jacobean styles. Many of these buildings remain today, especially in our World Heritage Site. 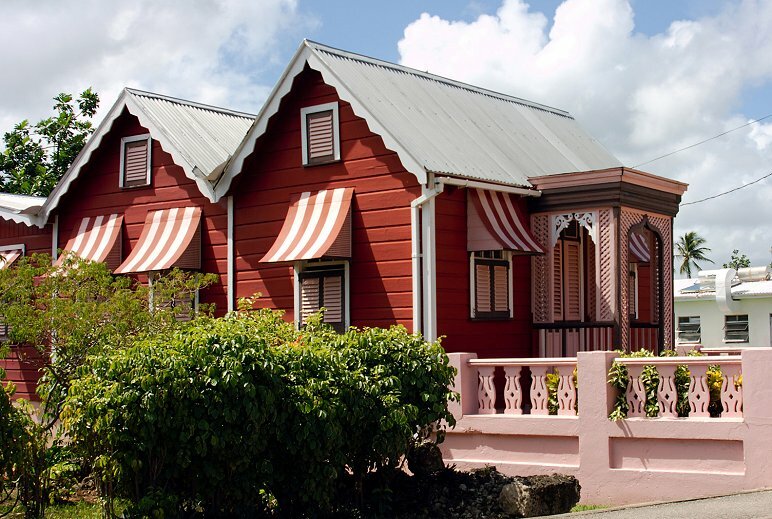 These European styles were adapted for the Caribbean climate with the use of large open verandas and gable roofs. The more modest chattel house was designed to be easily dismantled and moved to a neighbouring plantation when the owner changed jobs. Ornate fretwork is a distinguishing feature of these wooden homes and many have been meticulously preserved and maintained.